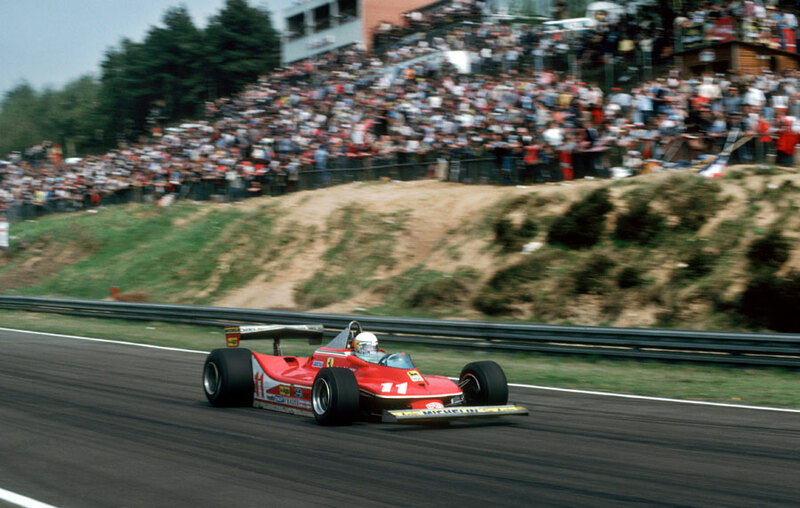 The battle for the world title took another twist as Jody Scheckter in a Ferrari and Jacques Lafitte in a Ligier moved joint top in the championship when they finished first and second respectively in a close-run Belgian Grand Prix. Scheckter's team-mate Gilles Villeneuve, who started the day as joint leader with Lafitte, failed to score any points as he had to retire from third place on the last lap, despite having had a brilliant drive in his Ferrari. Villeneuve's day had appeared over when he tangled with Clay Regazzoni and was forced into a pit stop which left him at the back of the field. But over 70 laps he made his way up to third before his Ferrari ran out of fuel and spluttered to a halt 300 yards from the line. Alan Jones in the Williams again gave indications of what was to come with an impressive drive, nipping from the second row between the Ligiers of Lafitte and Patrick Depailler at the start. He was forced wide and dropped a place when he tried to pass early leader Depailler, but ten laps later he was in the lead and gradually built a 10-second gap before his fuel pump failed. As the field thinned - only ten of the 24 starters were running by the end - Depailler's race ended when he crashed out on the 46th of 70 laps, and then Lafitte, who led for the next nine laps, was passed by Scheckter and it stayed that way. Didier Pironi took third place after a brief battle with team-mate Jean-Pierre Jarier and James Hunt which ended when Hunt span off at the halfway point. John Watson gained his first points of the season when he brought home his underperforming McLaren in sixth. Mario Andretti's title defence took another blow when he was forced to switch from the Lotus 80 to the older 79 because of engine troubles, but it did him little good as he was forced out by brake problems after 27 laps.